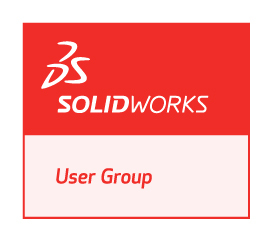 The North Alabama SOLIDWORKS Users Group (NASWUG) is proud to announce our March 2019 NASWUG meeting. The meeting will be held Wednesday, March 27, 2019 from 5:00pm to 8:00pm, at Dynetics Solutions Complex. At this meeting, you will be introduced to some of the directors from Huntsville STEAM Works, a local makerspace located inside the Lowe Mill ARTS & Entertainment Center. Please come and see what they have to offer our community and how you can get involved if you are interested! Our keynote presentation will feature Dana Parrish and Ramesh Lakshmipathy from DS SOLIDWORKS, demonstrating the new SOLIDWORKS simulation tool, SIMULIA Structural Simulation Engineer. This month’s meeting is sponsored by SOLIDWORKS, Dynetics, DriveWorks, and Protolabs.